When I opened up my BOXYCHARM for May I was pleasantly greeted by a brightly colored insert card with the caption Makeup Is Art. I thought ooh this is gonna be another good one, will there be a bright lip color or fun nail polish inside? NOPE. 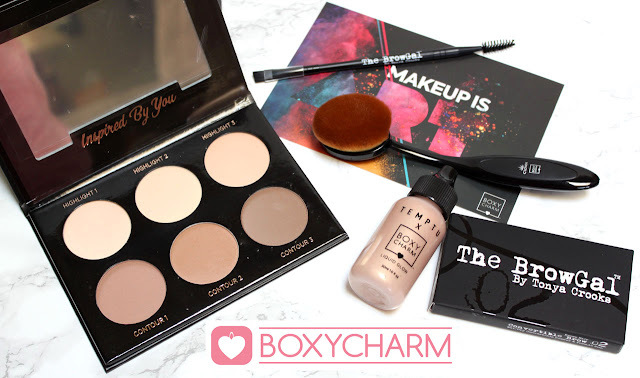 It was more like every product you need to create your very own photoshopped Instagram makeup look! Heavy Brows, Contour, Highlight, and a paint brush for your heavy foundation. I'm just not a fan! Maybe some of these products will surprise me? Lets check it out! 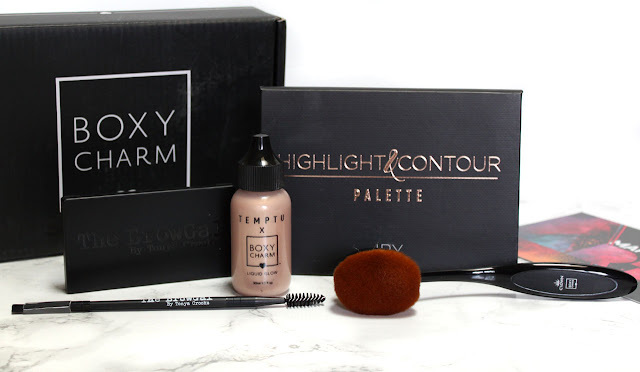 BOXYCHARM gives you 5 full size beauty items with over a $100 retail value for $21 a month. Free Shipping in the U.S. I have always associated the desire for clear skin with teens, but as I get older I find it even more important to me now. We all wish our skin was perfect every day; for most of us though, it takes more than wishful thinking. With the help of a daily skincare regimen and the inclusion of Differin® Gel, I am now on my way to achieving my best skin ever. Here are 5 tips to getting the clear, smooth skin that you have always wanted! Keep Reading for 5 Tips for Clear Acne Free Skin! With the weather warming up now is the time to start thinking about all those days spent outside and protecting our skin! My family spends a lot of time outdoors in the Summer - beach vacations, hiking, going to the lake, pool, and playing sports. While having fun in the sun is the top priority, protecting our skin from harmful rays is just as important. Having sensitive skin I need an SPF that not only protects but also one that is non-irritating to my temperamental skin. Blue Lizard® Australian Sunscreen provides the broad spectrum UVA/UVB protection you need to keep you and your family safe from the sun. Today I am sharing my beach bag essentials. 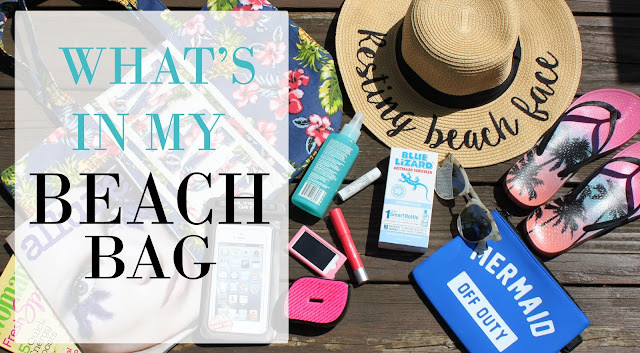 The must-have necessities that I always pack with me when hitting up the sea and sand. 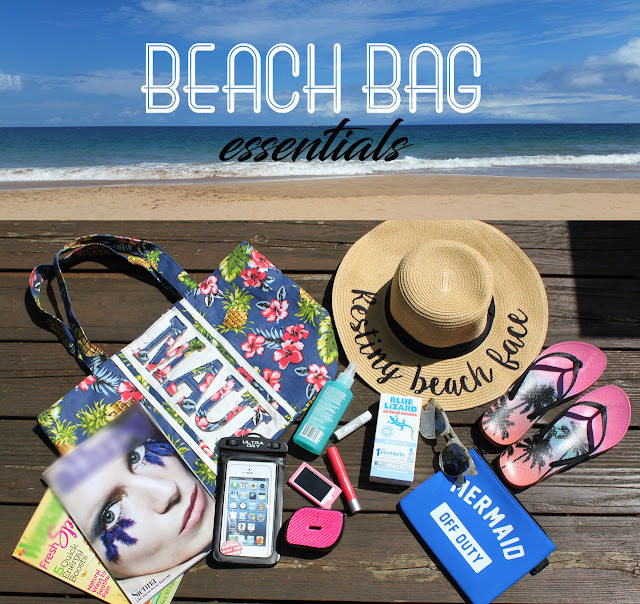 A fully stocked beach bag is key to maximizing your fun in the sun! Keep Reading to see What's In My Beach Bag! 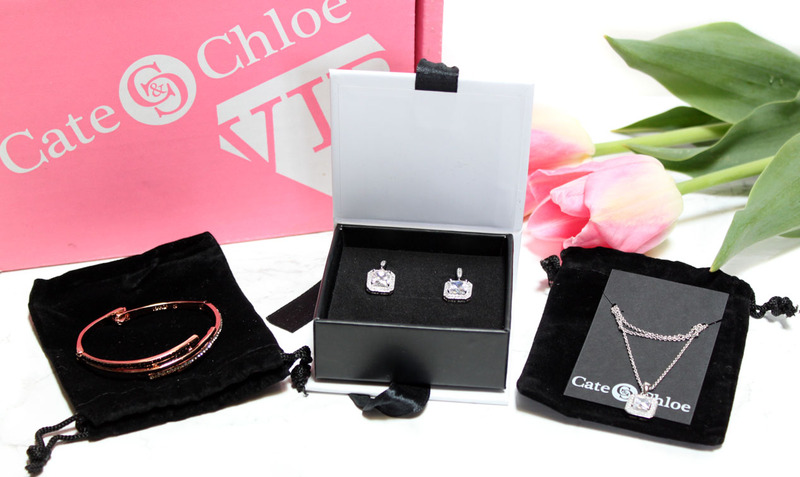 Cate & Chloe Unconditional Love VIP Box for May has arrived just in time. 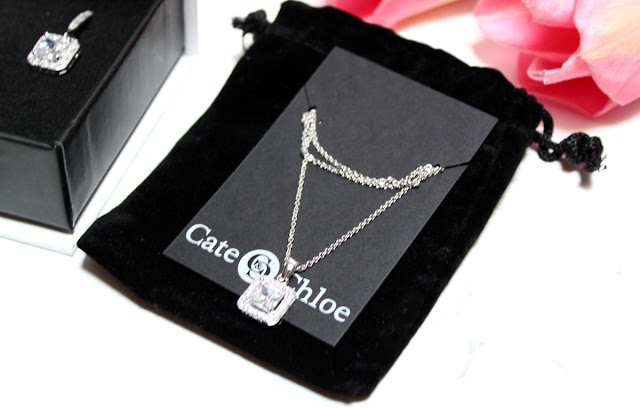 If you are new to Cate & Chloe they offer amazingly beautiful, high quality jewelry. Within their VIP box you can subscribe to their box staring at just $19.99 with free shipping. It's the perfect gift for Mother's Day or adding some new fashionable Spring jewelry pieces to your wardrobe! The options for Cate & Chloe's subscription are simple. Choose the VIP Box option that fits you best. Go big with three pieces of new jewelry every month or just keep it sweet with one new fashionable jewelry style to accessorize your wardrobe every month! Inside my Cate & Chloe VIP Box were three gorgeous pieces. I ooohed and awwwed at the opening of each one. 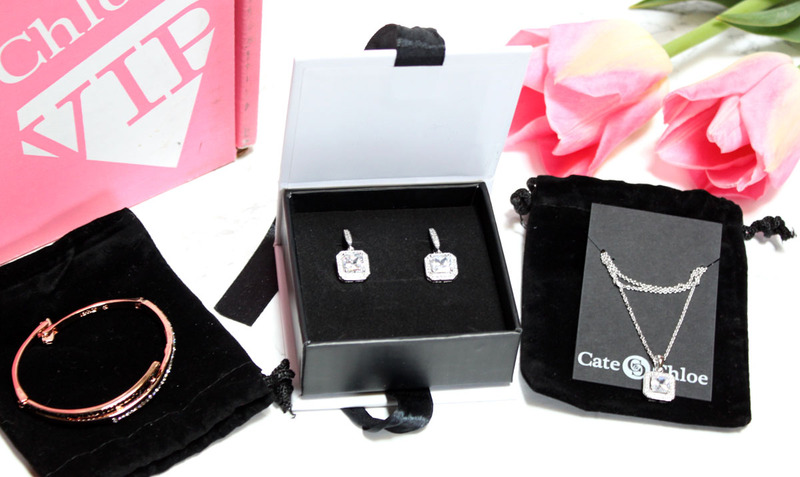 A Rose Gold bracelet and a matching earrings and necklace set. 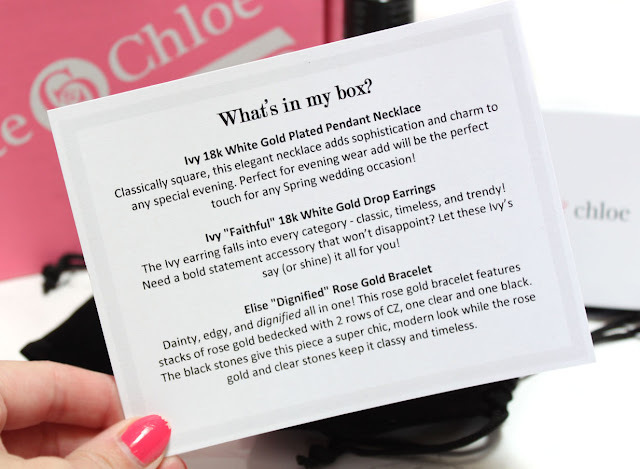 Every month the stylists come up with a FREE EXTRA GIFT to include in your box. 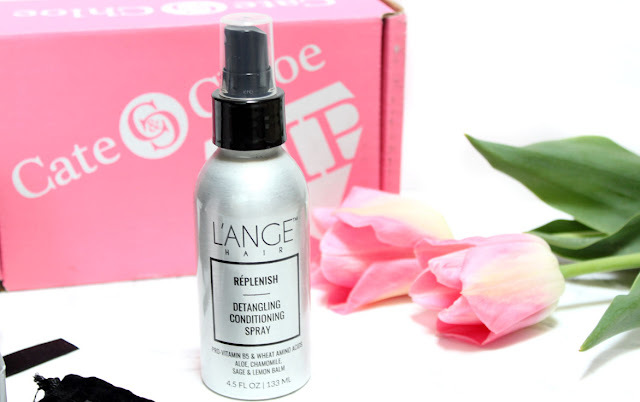 This month's amazing gift is L'ange Hair Replenish Conditioning Spray. L'ange hair! is best known for supplying elevated hair tools and haircare to fit the lifestyle of the modern woman, and her family too! Replenish Conditioning spray is formulated with Pro-Vitamin B5, Aloe, Chamomile, and wheat amino acids this light-weight leave-in detangler conditions, adds body and maintains a healthy scalp. And it contains UV protectant that helps color from fading. I have been using this every day since I got it! It leaves my dry, brittle ends feeling conditioned and hydrated while making it effortless to comb through wet. Not to mention it smells like some really good vanilla. L'ange is new to me, but this product rocks I will for sure be checking out their hair caire line now. 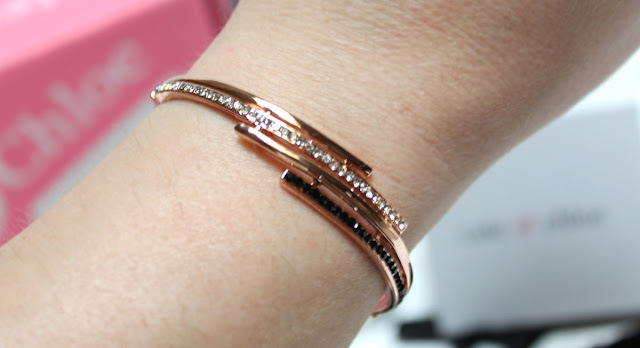 This rose gold bracelet features stacks of rose gold with two rows of CZ clear and black stones. It has a snap back clasp closure. I first saw this bracelet on Jenny McCarthy and was like dying that it was Cate & Chloe because I knew it could be mine too. Rose gold is so trendy and I don't have much of it in my jewelry wardrobe. This bracelet is dainty but incredibly edgy and impactful in style and design. The shine on this rose gold is outrageous! The Elise is quite possibly the prettiest bracelet I have ever owned. The Ivy earring is classy, trendy, and timeless all in one. These drop earrings are stunning and sparkle like crazy. They look expensive and put the finishing touches on a dressed up outfit. I don't generally wear drop earrings, but these are light and comfortable. Cate & Chloe's earrings also never irritate my sensitive ears which I appreciate. I wear a pair of their studs in my ears every day. To match those beautiful drop earrings is the Ivy Pendant necklace. 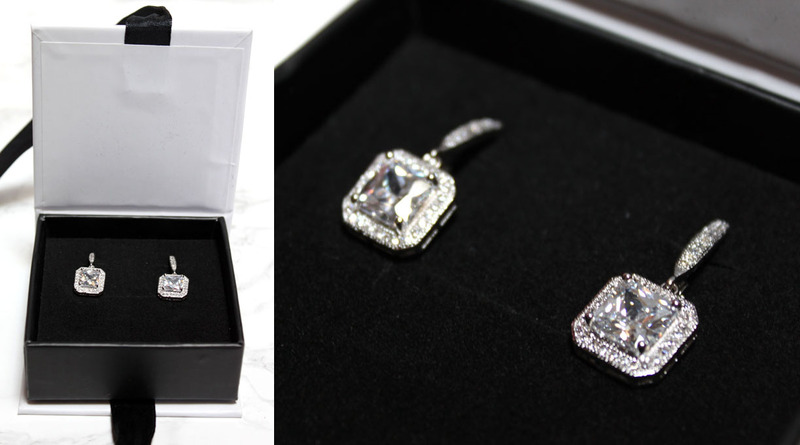 A classic square cut pendant that goes with everything. If you need a beautiful necklace to wear with a dress this is the one to choose. It is stunning and just large enough to be eye catching while keeping it classic. I can't get over how expensive their pieces look. You could easily mistake them for the real deal. I loved every one of these pieces and even more how affordable they are within the VIP Box Subscription. No matter what you get in your box I don't think you could possibly be disappointed with their gorgeous jewelry! Make sure to use the code below to get 35% off your first month!